The Postberg Private Nature Reserve, bordering the West Coast National Park (WCNP) is renowned as being “one of the best places on the West Coast to see fields of wild flowers” (Samantha Glen et al, 2008) as well as offering game viewing and bird viewing opportunities. SANParks appointed MCA to prepare a land consolidation strategy of these two areas to promote its desired state due to its important conservation, heritage and tourism potential, while maintaining the landowners’ residential and leisure privacy. 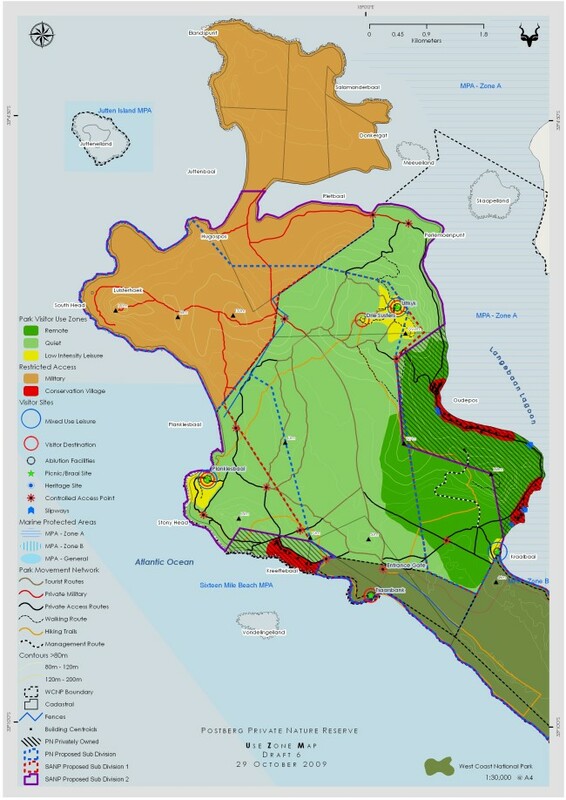 We prepared a comprehensive Baseline Study, Use Zone Map and a consolidation strategy which formed the basis for the negotiations between SANParks and the landowners.